Oh, I suppose all action game protagonists are, to a greater or lesser degree. When you’re piling up bodies by the hundreds it’s difficult to stick with the reasoning that you’re doing this for the Greater Good. This is one of the indirect reasons why the great action protagonists of the 80s and 90s, including the original version of Lara, tended towards the wisecracking badass side of the spectrum; they were deliberately made somewhat inhuman, and that had the effect of rendering the world they inhabited rather less grounded in reality. The violence was also substantially more one-dimensional; she’d shoot guys and that was it, and while I’m sure getting shot is somewhat unpleasant it’s also drastically less graphic than e.g. smashing a bottle over somebody’s head and then glassing them in the neck with it. I’m not saying I want a return to similarly one-dimensional protagonists, but there’s a reason why Action Game logic, just like Action Movie logic, works in the context of what it’s trying to accomplish. This is why I’m rather conflicted about the attempt to make the modern version of Lara Croft – first seen in 2013 series reboot Tomb Raider and now returning in Rise – more relatable. It’s been a successful effort as far as the cutscenes are concerned; the writing in both games hasn’t been exactly stellar, but it’s done a good job of the characterisation of Lara as a more human heroine. 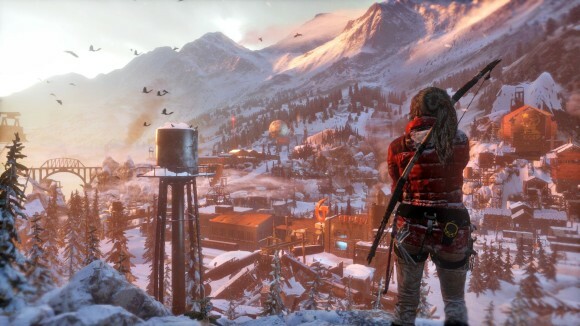 At the start of Rise she’s even suffering from PTSD and is desperately trying to prove that what she saw on the island from Tomb Raider wasn’t just a figment of her imagination, which is how she gets herself into something of a mess tracking down another magical macguffin in deepest Siberia. She gets separated from the rest of her party in short order, crosses swords with a Religious Conspiracy called (hnnngh) Trinity who are also after the artefact, and spends the rest of the game murdering them in a variety of extremely horrible ways on the pretext that she’s defending the resident lost tribe from their predations. Seriously. The Source or the Power or whatever the artefact is called was almost relegated to a footnote at times, as while there’s a healthy dose of platforming and puzzling as you’d expect from a Tomb Raider game you spend probably 50% of it killing people. I raised the same complaint in my review of the first Tomb Raider, and I’m going to raise it again here: this makes no sense given the tone of the rest of the game. Lara’s body count from the Tomb Raider island was already comfortably into the hundreds, and she more than doubles it here as she chews her way through Trinity’s seemingly-inexhaustible supply of goons. She shoots them (with bullets and arrows), strangles them, snaps their necks, glasses them, buries ice picks in their skulls, stabs them in the brain with arrows, blows them up with IEDs, poisons them, burns them… and you’d better believe that nearly every single one of these methods of execution has an elaborate and visceral kill animation associated with it. It goes way past the point of survival or self-defence; the deadliest snipers from World War 2 do not have K/D ratios as good as Lara’s, and my interpretation of this particular depiction of Lara Croft is that she’s a psychopathic mass murderer to whom human life no longer matters all that much – because when you try to place a classical action hero in a more grounded environment, that’s what they are. There’s no getting around it. Rise is somewhat oversaturated with combat. It flows just as well as it did in the first game, and while I was never unhappy to be fighting enemies from anything more than a thematic point of view, it just doesn’t gel all that well with the rest of the game. Lara’s stuck in the freezing Siberian wilderness and at one point she gets her coat taken away and runs around in just a tank top for several hours, yet nothing is made of the potential this environment has for survival mechanics other than the “kill animals to get animal bits to make bigger bags to hold your animal bits” crafting system pioneered by Far Cry 3. I feel like it would have been much more appropriate to play up that side of things a bit more and have the parts where Lara fights actual human beings be rare, significant and most of all difficult events. Sadly Rise has a skill tree that’s broken to the point where it trivialises its own otherwise well thought-out combat system. Well, I should back up here slightly first: Rise gives you XP for nearly every activity that isn’t running from point A to point B, and you can invest this XP in the now inevitable selection of skills that improve Lara’s abilities. This made more sense in the first game when she was just starting out; it makes less sense here after she’s been through this whole process once already, but on the whole Rise managed to avoid making me feel like I was just relearning stuff I already mastered in Tomb Raider. About a third of the skills are focused towards hunting, crafting and environment traversal, but the rest are firmly combat-aligned. These are fine for the most part and mostly focus around giving you more options in combat, and I was actually quite pleased with how they’d managed to make nearly all of the skills feel powerful and worthwhile (especially the one that increased the radius of IED explosions, which sounded terrible on paper but which turned the feeble puff of flame from my molotovs into a raging blast of napalm that incinerated everything within my eyeline). However, there is an important difference between skills that feel powerful, and a skill that, say, lets you zoom in, lock on to up to three targets with your bow, and then headshot them all at once when you release the trigger. Headshots are (unsurprisingly) one-shot kills unless your target is wearing a helmet – even then it’ll stun them and give you more than enough time to line up a second shot, so unless there’s multiple armoured enemies this one skill is going to make any combat encounter a pushover, especially since 90% of the time you can make a stealthy approach and take all the time you need to line this super-shot up. This is a horrifically broken skill that, once you unlock it, means you’ll never use anything else ever again. And that’s a shame, because up until I did unlock it I was having a lot of fun using the multiple different tools at my disposal to dispatch enemies – improvising IEDs, poison arrows, booby-trapping corpses and so on. The headshot skill is at least stuck down on tier 3, meaning that it should theoretically take you some time to unlock it; unfortunately I min-maxed all of the bonus XP skills and got it about halfway through the game, after which my combat encounters became decidedly one-note. The bow is powerful enough on its own, to the point where I never used any other weapon; it didn’t need a skill like that to amp it up further. As it is Lara effortlessly slaughters dozens of Trinity soldiers1 without batting an eyelid, which kind of runs counter to the attempt to make her more human, you know? Bleugh. That’s my biggest problem with Rise; it’s just as confused as the first Tomb Raider, trying to have it both ways by making a “realistic” action hero who still goes through the same old action tropes, and it just doesn’t work. Now, on the bright side, I had a number of other complaints in the Tomb Raider 2013 review that have mostly been addressed. Number one are the titular tombs, which in TR 2013 consisted of six small rooms with a single puzzle inside. Rise expands things out a bit; there are now nine tombs, and while they still consist of a single “room” they are much more impressive visually, from a Byzantine war galley embedded in a glacier to what is basically the Leap of Faith from Indiana Jones and the Last Crusade. Each tomb has a single puzzle to solve, but the puzzles are much more elaborate this time around; there’s also a crucial addition of a phase where you have to traverse some treacherous environmental obstacles to get to the tomb in the first place. 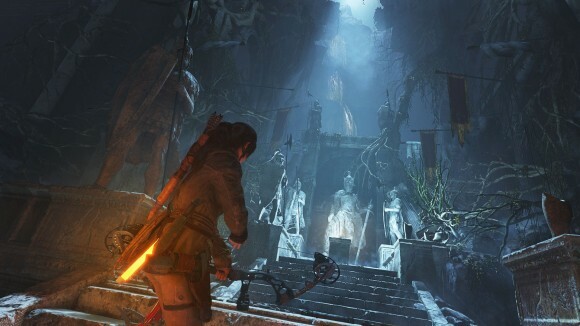 In short the tombs are now a great fusion of the two best parts of the Tomb Raider reboot: the platforming and the puzzling. Each element is basically unchanged from TR 2013 with most of the same tricks – rope arrows, clambering up rock walls with climbing axes etc. — but they worked well the first time and they work well again here. Arguably more so, in fact, since I think the mountainous environment suits it a lot more – or is at least a lot more visually engaging — than Tomb Raider’s grey, stormy island. Rise is a staggeringly good-looking game in general, and I’m actually a little surprised Crystal Dynamics managed to coax this level of graphical fidelity out of console tech. It does chug at times (it seems to have trouble with Lara’s hair) but it arguably looks better than 99% of stuff I play on my not-inconsiderably beefy PC rig, and the gorgeous levels add a lot to the game – the look of the tombs in particular is a night and day comparison when lined up against the dingy caves from TR 2013. Ultimately it’s just a reskin that puts what is mostly the same game into a different package and I’m disappointed they didn’t make more of the potential of the environment for interesting gameplay mechanics, but it’s still a massive improvement. What else? Well, it seems that Crystal Dynamics have listened to the criticism of the cutscenes from the original — where they’d segue seamlessly into gameplay, which was all very cinematic but which often happened while Lara was e.g. fleeing over a collapsing bridge, and the total lack of cues that you now had control usually meant she went careening into some bottomless chasm — and have segregated them much more strictly from the parts where you’re actually supposed to do something. This has gone hand in hand with a ruthless purge of quicktime events, which were something of a scourge in TR 2013; there’s one for dodge countering, but I think that’s pretty much the only one in the game and could reasonably be defined as actual gameplay if you squinted a bit. They’ve also streamlined the world a lot, to the point where I want to call it out as one of Rise’s good points: it’s the first “open” world game I’ve played in a long time that’s actually felt manageable for anyone who is also trying to hold down a full-time job. I invested two Sundays and a few evenings over a two week period playing it, and by the end of it I felt like I’d seen everything worth seeing. It’s littered with collectibles as you’d expect, but it’s admirably constrained in scope and you can hoover most of them up as you traverse the various world segments on your way to other stuff. 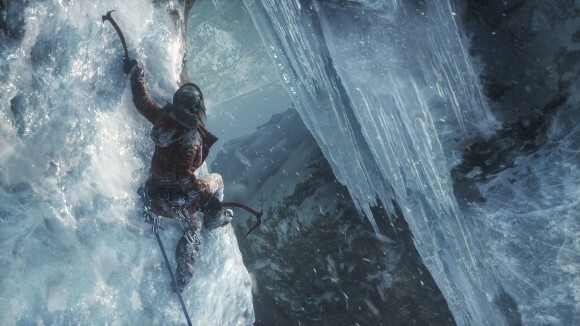 Unlike some games I could mention — most of which are made by Ubisoft — Rise of the Tomb Raider struck me as a game that knew when to stop when it came to throwing pointless make-work at the player. There’s some people for whom that’s going to be a downside, but for me it was ideal. There’s plenty of incremental improvements that have gone into Rise, then. 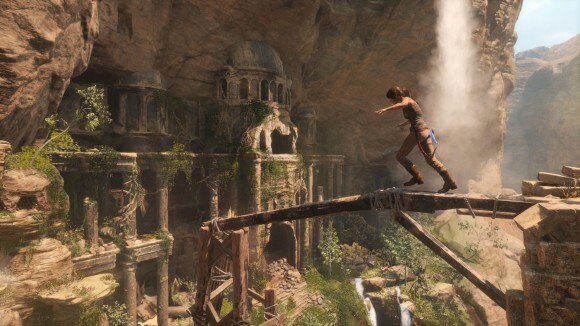 In a sense it’s almost the perfect iterative sequel – it’s basically the same game as the first Tomb Raider with most of the major criticisms addressed and many of the flabbier parts streamlined a bit, which is an easy way to ensure its better than the original. At the same time it introduces precious little that’s actually new aside from its visuals, and considering I felt she was already somewhat implausible at the end of TR 2013 the characterisation of Lara is increasingly at odds with what she does in the game. There’s plenty of room for a thoughtful Tomb Raider that’s more grounded in reality and fronted by a believable protagonist, but Rise is not that game and it’s worse off for trying to present itself as such. That might be something of a personal objection, and it certainly didn’t stop me enjoying the combat before I’d reduced it to arrowing everybody in the head; however, as it’s the major thematic thrust of the reboot I see it as a critical failure on Rise’s part to live up to what it’s trying to pass itself off as. I could get past that this time around. Next time, well, I’m not sure I’ll buy in quite so readily. Not unless they do something that’s genuinely new, as that’s the one problem with Rise being a set of incremental improvements: if they do that for the third game I’ll effectively just be playing Rise again, and while it was certainly fun it’s not something I have any particular interest in repeating any time soon. I bailed out of the first Tomb Raider reboot about 2/3 of the way through. I was able to grit my teeth through the QTE’s, because I like games with stealth and bow and arrow. But at the point where Lara became Death Incarnate and was just progressing through one arena full of bad guys to the next, it got tiresome. It’s good that they killed off the Quicktime cutscenes in this new one, and the expanded tombs sound at least a little more interesting. I might give this one a try, but probably not until it’s on sale, since I might not have the stamina to finish the game. The way some of these AAA games are made now, it starts to feel like I’m playing the same game with the same character, just reskinned and in different environments. Whether it’s Lara, BJ Blazkowicz, or whoever the current Assassin Creed dude of the day is… the main character doesn’t matter that much. These “action RPG’s” are all copying each others’ mechanics so it all blends together, and the main story line often isn’t enough to get me to the end. The Witcher 3 was the only recent game that managed to make me care about and invest myself in the main character. Good review, BTW. It covered everything I wanted to know about whether I’d want to play it now, later, or ever. You make a good point that a lot of these games recycle each other’s ideas to the point where they all feel largely the same (although Wolfenstein shouldn’t be lumped in there). 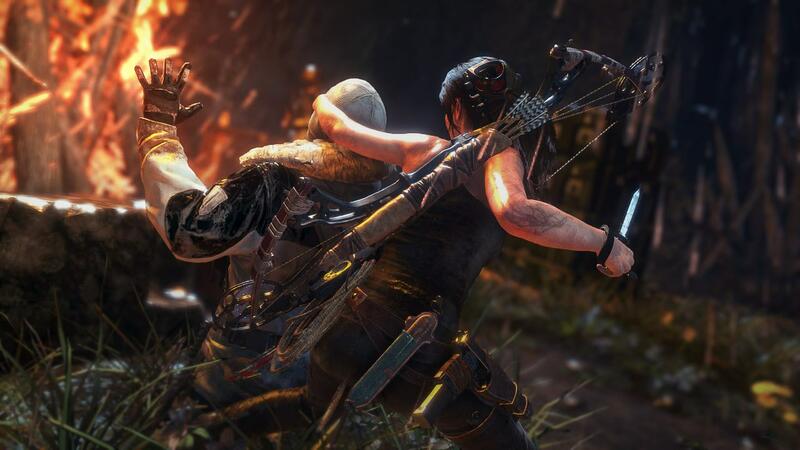 Tomb Raider’s spin is supposed to be the puzzles; when it’s doing combat it’s competent, but it feels no different than a dozen other contemporaries I could name. If you quit TR 2013 because of the combat, then Rise is definitely not going to be your cup of tea. She goes full-on muderbot from the first hour onwards. I’ve only recently completed the original Tomb Raider 2013 and indeed it feels wrong seeing Lara switching between believable ordinary person in a complicated situation and perfect killing machine. Also the plot is made of boring staples and balances on being offensively stupid and boring. Gameplay though is the only available modern adventure game on PC, ain’t it? Like those fancy The Last of Us or Uncharted games with huge variety of available murder tools. Too bad it’s too easy for you to have to use any of those tools. It didn’t have any killer abilities you describe, it was just easy to kill everyone with a bow or a pistol sometimes using exploding barrels and that’s it. There were only couple of memorable battles (sunny shanty town, gates of the final temple, maybe Japanese bunker with its interesting structure) and it felt like they’ve made a good battle system without adding enough battles. Instead they’ve added tons of places where I had to crawl, QTE through danger and drop to my death cause I’m too blind to see where should I run. You make it sound like they’ve got rid of much of the later but broke fighting. So now there’s less irritating stuff there… And less good stuff. Hm. Yeah, I do want to play Last of Us and Uncharted, but I bought into the Xbox ecosystem instead for certain Halo-related reasons (I think Rise is releasing on PC early next year?). I do wonder just how similar Rise would feel; how many of its ideas I’m seeing for the first time here that have actually been borrowed from those other games. I can’t remember any of the encounters from TR 2013, they were that generic. Great mechanics, but there was nothing particularly striking about the locations or the enemies. In two years I’ll likely be saying the same about Rise despite the increased quantity of combat – it’s competently executed, but completely unmemorable.